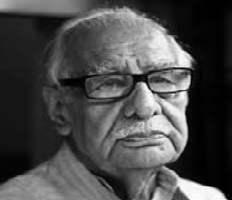 Kuldip Nayar is a veteran Indian journalist, syndicated columnist,t and author. He has edited several newspapers, including Indian Express. He was the Indian High Commissioner to UK and a Rajya Sabha MP. Key to Operation Bluestar in British Hands? When Will Indian And Pakistani Bureaucracy Grow Up? Memorial Meet For Gauri Lankesh: But Where Were the Senior Journalists?